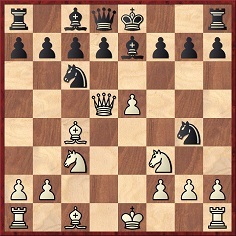 The illegality of this move was indicated by a looker-on, and Black therefore played 24...Rd8. 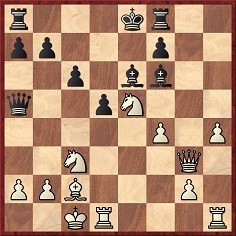 The game ended 25 Bb3 Bf5 26 Rhe1 Be7 27 Qe3 Be6 28 f5 d4 29 Rxd4 Rxd4 30 Qxd4 Bxb3 31 Qd7 mate. 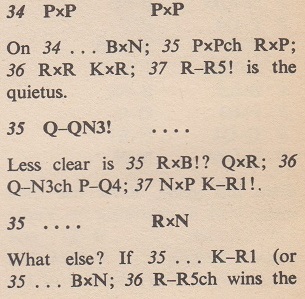 33 O-O-O Rh3 34 Qe2 Rxc3+ 35 Kb2 Rh3 36 d6 Nec6 37 Nxc6 Nxc6 38 e6 Qe5+ 39 Qxe5 Nxe5 40 d7+ Nxd7 41 White resigns. 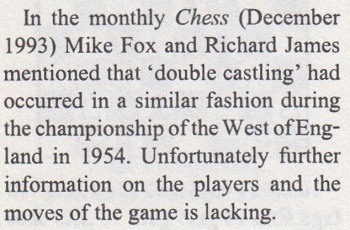 Below is that Fox/James item (CHESS, December 1993, page 53), after the game Heidenfeld v ‘Kerine’ had been given. In that snippet too the reader was given no source for the statements. 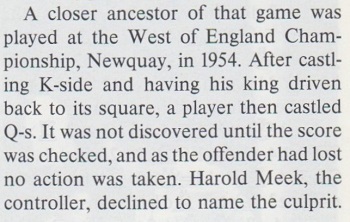 Page 35 of the British Chess Federation Year Book 1954-1955 (London, 1955) confirms that Meek died ‘at the age of 69’. 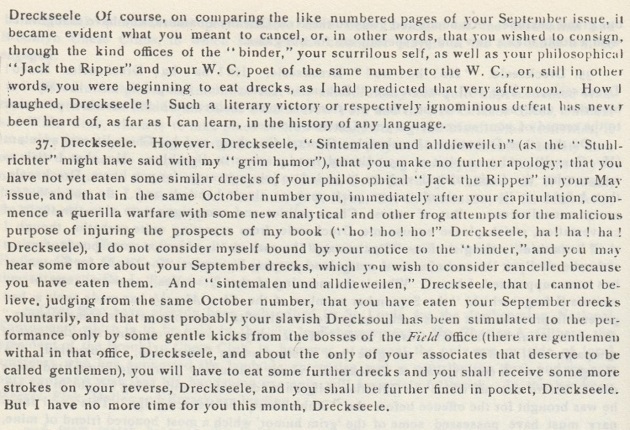 The indented quote is thus a remark by Bayersdorfer as recorded by the book’s editors, J. Kohtz and C. Kockelkorn. 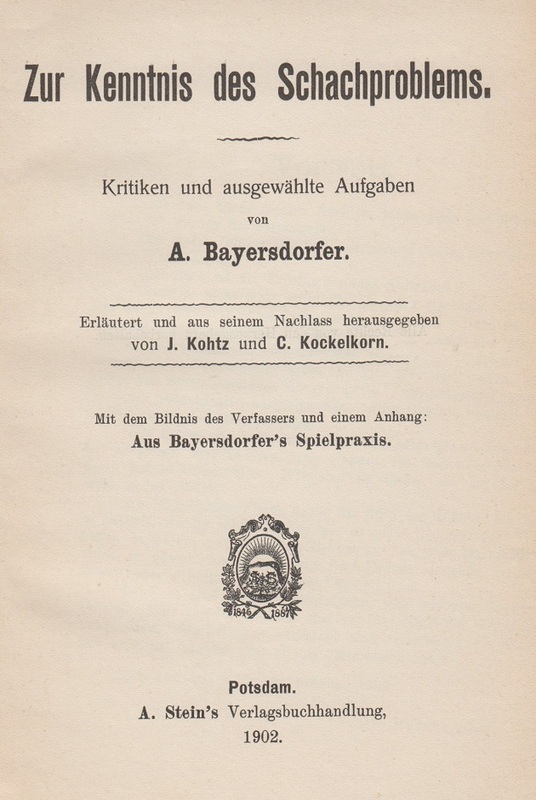 A photograph of Bayersdorfer, the book’s frontispiece, is in C.N. 7620. 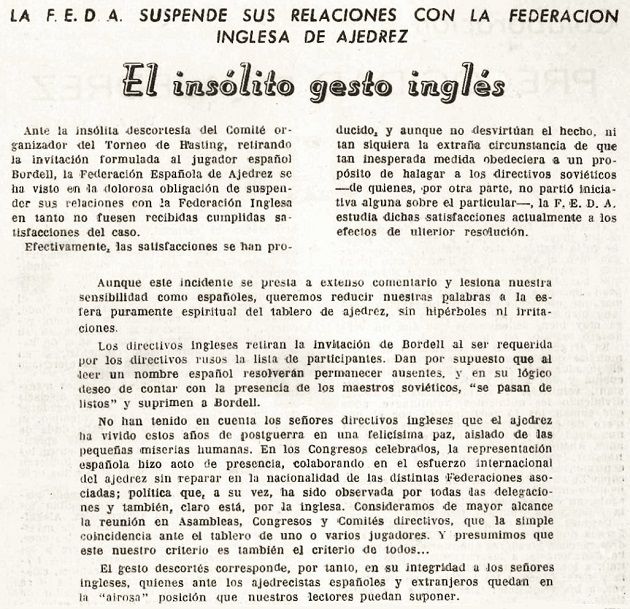 With regard to the Bordell case, documentation is still sought to show how the Spanish press covered the non-participation of Román Bordell Rosell in Hastings, 1953-54. Henrique Mecking’s opponent will be the subject of a C.N. item shortly. 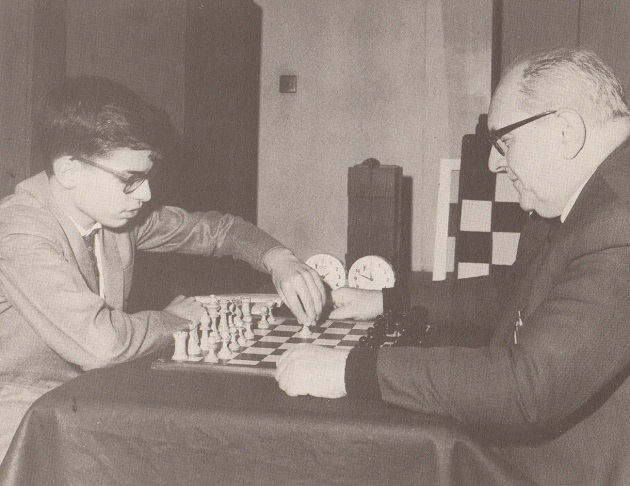 The photograph in the previous item comes from page 107 of The Children’s Book of Chess by Ted Nottingham and Bob Wade (London, 1978 and New York, 1979), which had the caption ‘Mecking at Hastings, England’. 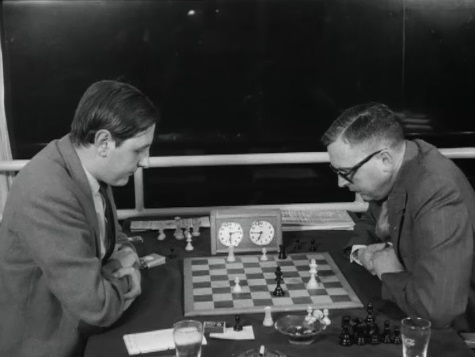 His opponent was not named, but we identify him as Moshe Czerniak. 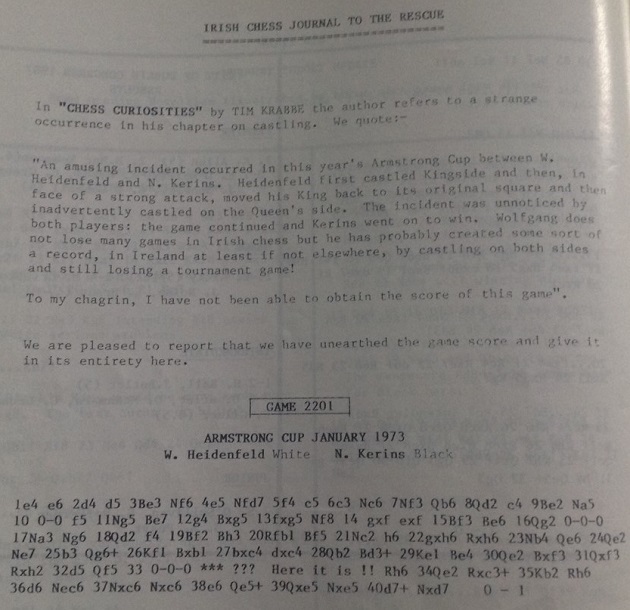 At the Hastings tournament on 5 January 1967, Mecking won their game (playing Black), as reported on pages 39-40 of the February 1967 BCM. 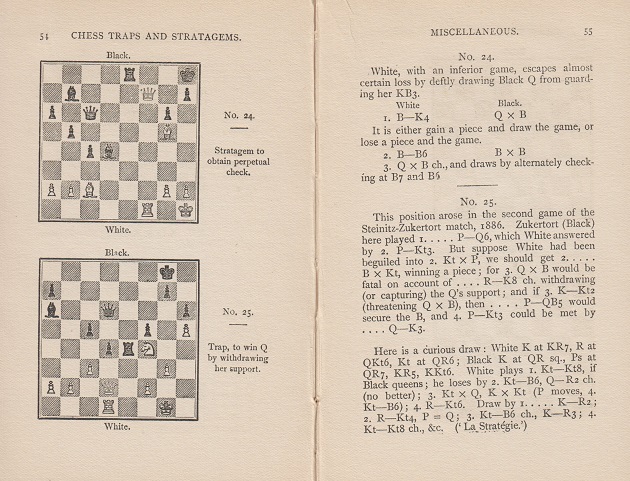 A book by Czerniak, ‘The History of Chess’ (Tel Aviv, 1963), has been mentioned to us by Moshe Rubin (Jerusalem). 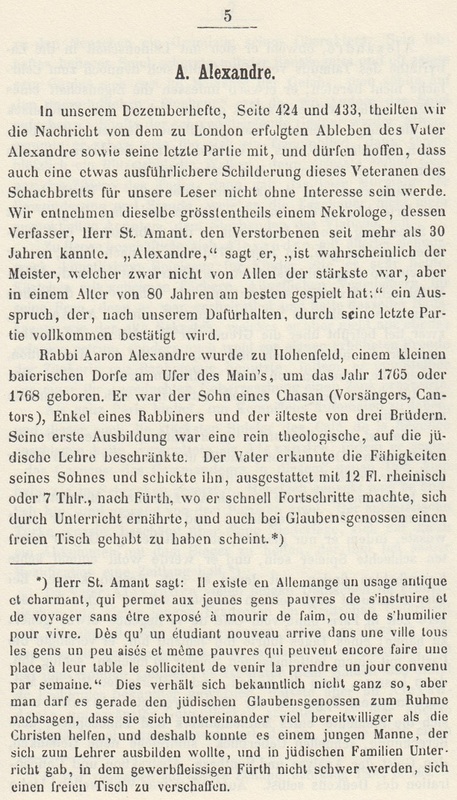 It includes many reminiscences, and our correspondent has forwarded a file comprising the original Hebrew text of these vignettes, alongside his translation into English. See too C.N. 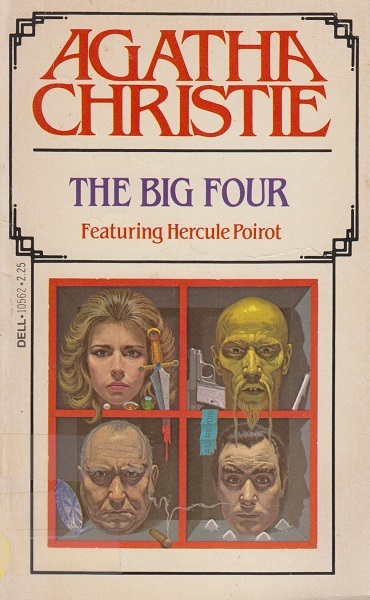 4143. 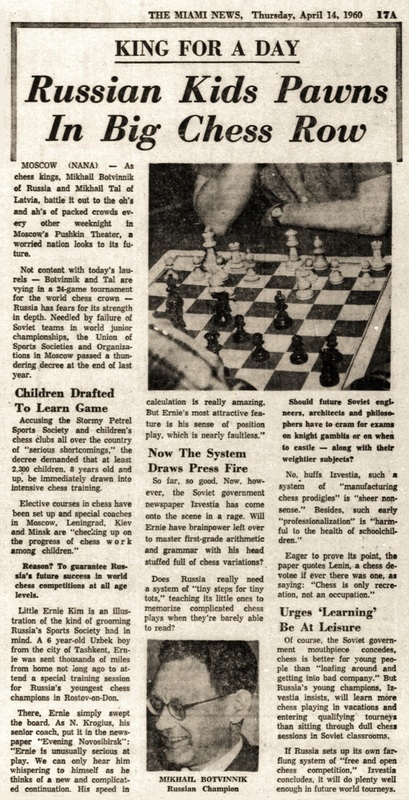 ‘I was contacted in early 1973 by Clarks Shoes, who wanted to sponsor a chess event involving Bobby Fischer. 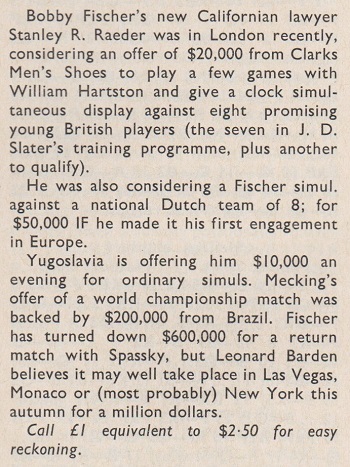 Since the maximum budget (probably £10,000, but I do not recall exactly now) was unrealistically low, I suggested Spassky instead, but the company was adamant that only Fischer would be acceptable. 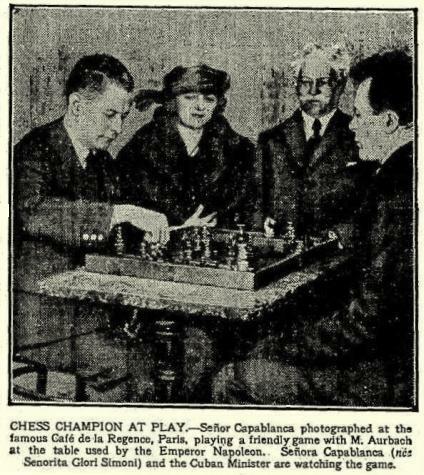 After consultation with Stewart Reuben, I contacted Stanley Rader with a proposal for a two-game match between Fischer and the then England No. 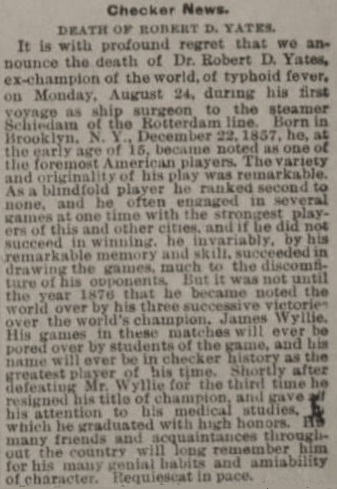 1, William Hartston, with games in London and York, plus a clock simultaneous display against eight English juniors. I had zero expectation that this offer would be accepted. 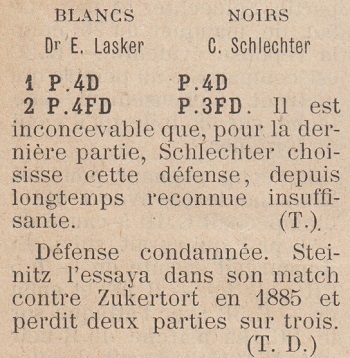 My hope was that the match format would be quickly rejected (“Two games? You gotta be joking!”), but that Fischer would be interested in the simultaneous exhibition with clocks. 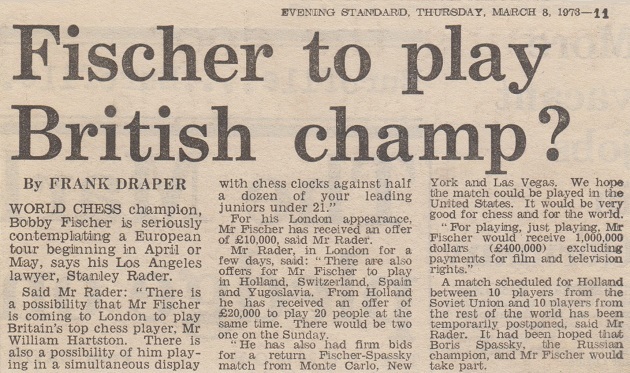 My main basis for optimism was that in July 1972, after Fischer accepted Jim Slater’s offer to double the prize fund at Reykjavik, his then lawyer Paul Marshall told me that Fischer was very grateful and that as a thank-you would play in England in his first event after he won the title. Of course, I told that to Stanley Rader. 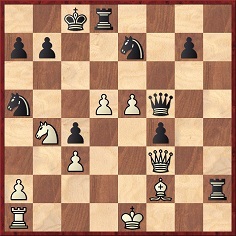 My hope also was that a clock simultaneous exhibition against eight opponents, two of whom would be girls, would sound sufficiently lightweight for Fischer to accept as an easy way of keeping his promise to Slater. 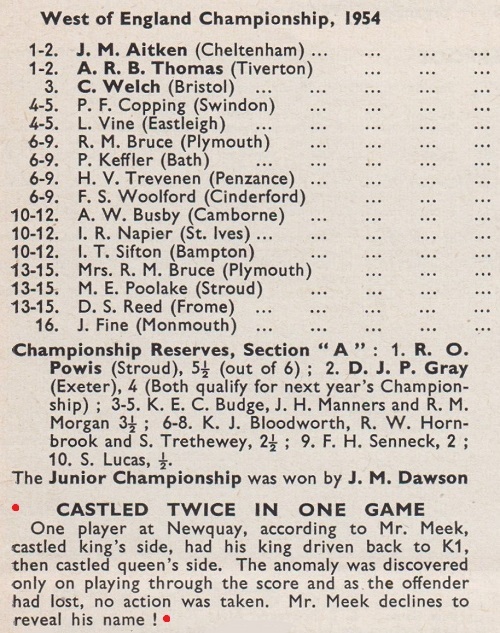 The small print, and the reason I took the trouble to be involved in such a time-consuming episode, was that the England junior team would have been Tony Miles, Michael Stean, John Nunn, Jonathan Mestel and Jonathan Speelman, all future strong grandmasters, plus one other undecided name (probably David Goodman). The girls would have been Sheila Jackson and Susan Caldwell, the obvious choices at that time. I was also ready, if it clinched the event, to reduce the numbers to just the five players who I was sure had world-class potential. 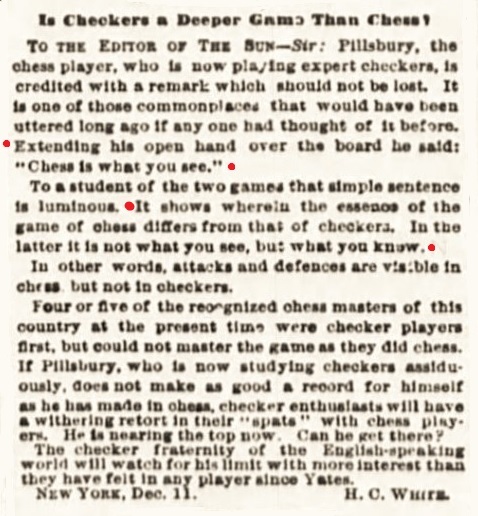 C.N.s 7122 and 7216 showed publications which attributed to Pillsbury the remark ‘Chess is what you see’. The heading was ‘Specially composed for Womanhood by H.N. Pillsbury’. 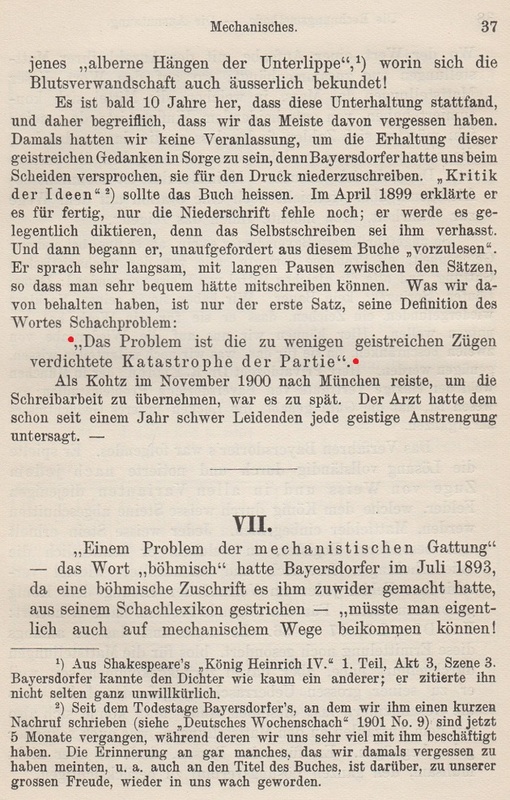 The following issue (page 296) noted that there were two solutions. 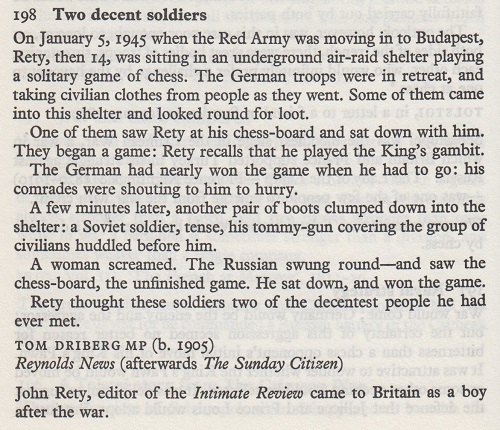 Rety was the translator of Planning in Chess by J. Flesch (London, 1983), named there as ‘John Réti’. Elsewhere, ‘Reti’ and ‘Réty’ are also found. 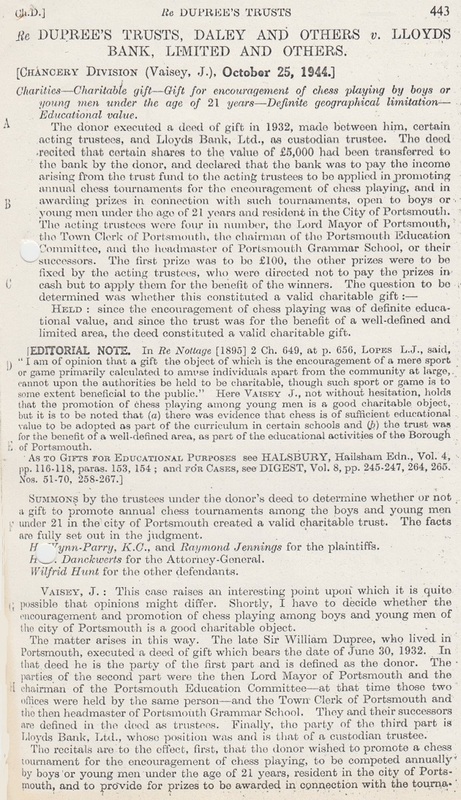 Since no sources were specified, they are added below. 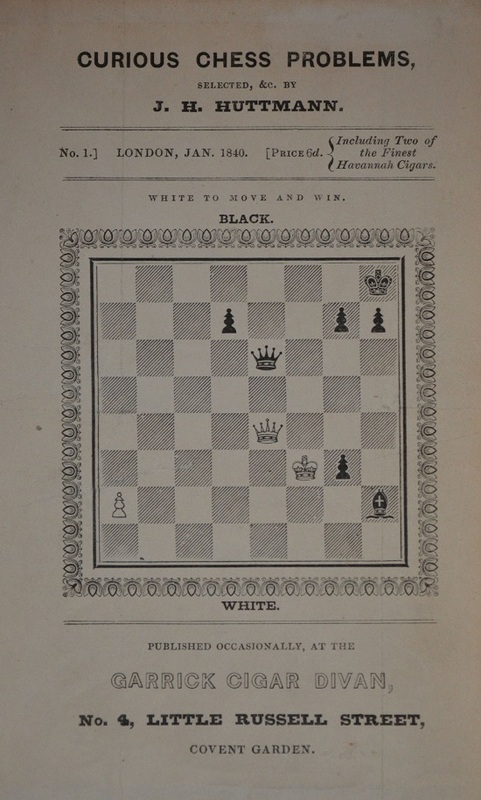 The Fenton remark ‘Never try to checkmate your opponent, but try to win the game’ can be seen in C.N. 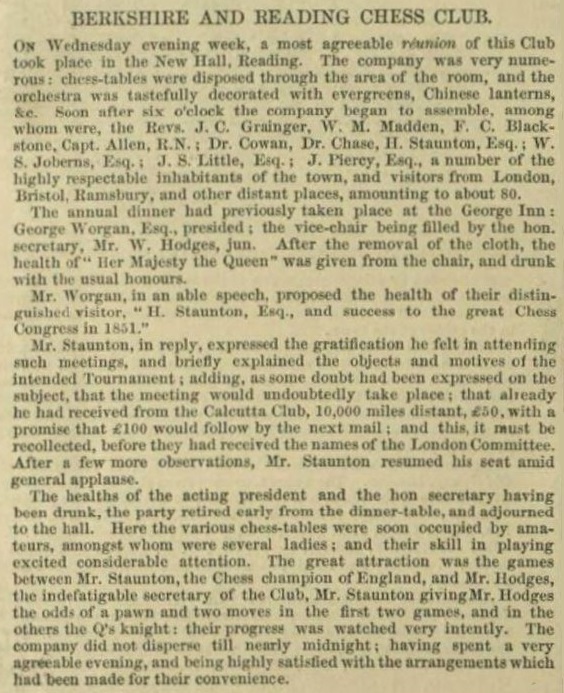 10355, which had an extract (pages 233-234) from an article about Purssell’s chess resort in the May 1891 BCM. 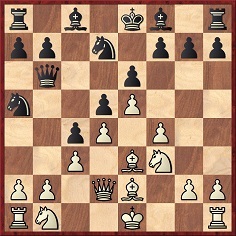 Golombek’s ‘The tactical master may or may not develop into a great player, the positional one always does’ comes from page 16 of The Games of Robert J. Fischer edited by Robert G. Wade and Kevin J. O’Connell (London, 1972). 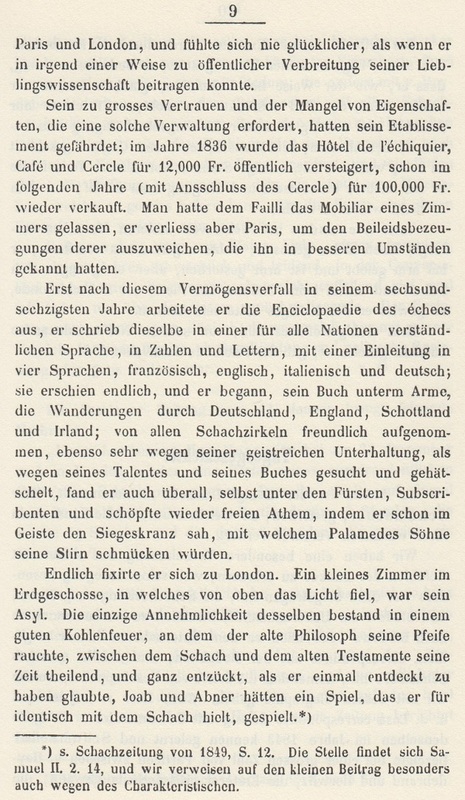 Golombek contributed an introductory essay, ‘Fischer the Artist’. 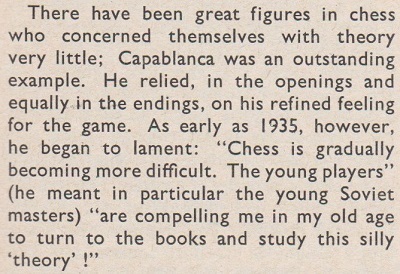 Source: an article entitled ‘Chess Theory is Grey’ by Salo Flohr on pages 157 and 180 of CHESS, March 1967. 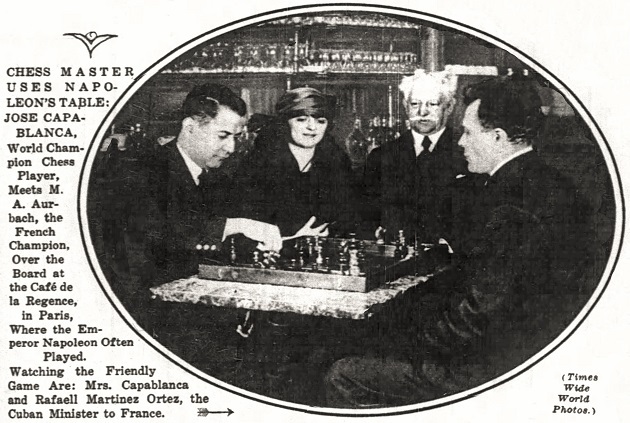 No information about the article’s provenance was supplied, or about the circumstances of Capablanca’s alleged incipient lamentation. 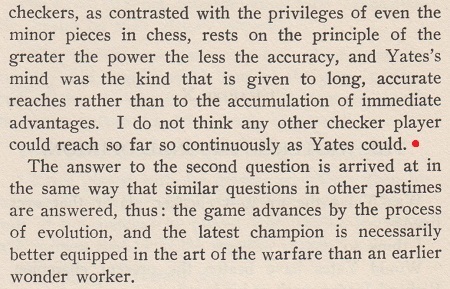 ‘Chess was his native tongue.’ (Larry Evans). The article was unsigned, but O.C. 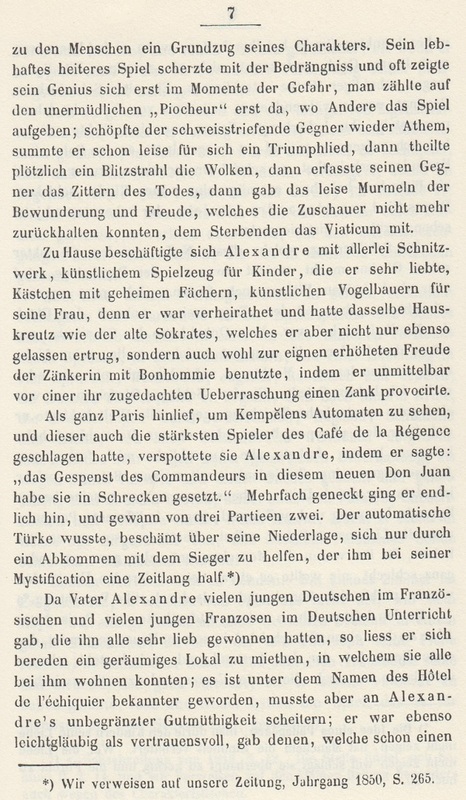 Müller believed the writer to be P.W. Sergeant. 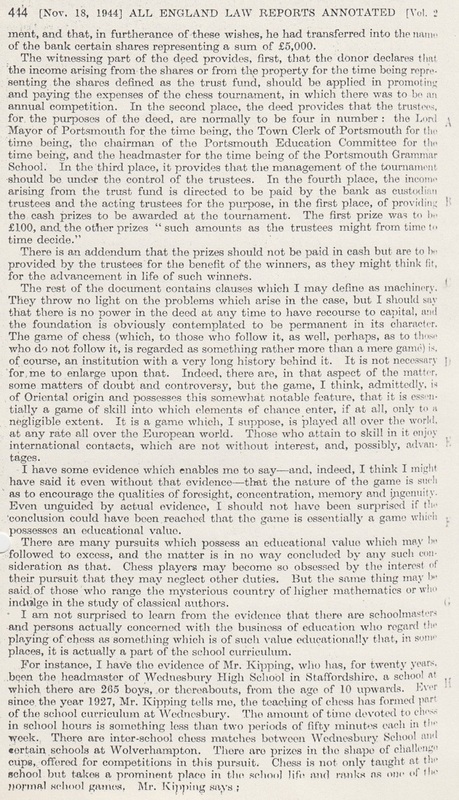 See the appeal on behalf of Fenton’s widow on page 275 of the June 1916 Chess Amateur. 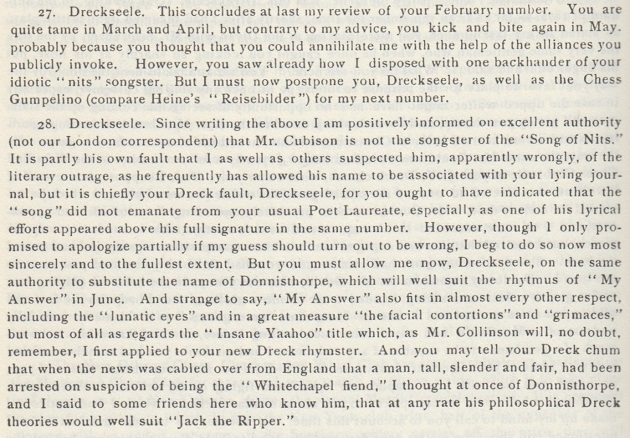 Information about Cubison (whose initials were W.H.) will be appreciated. 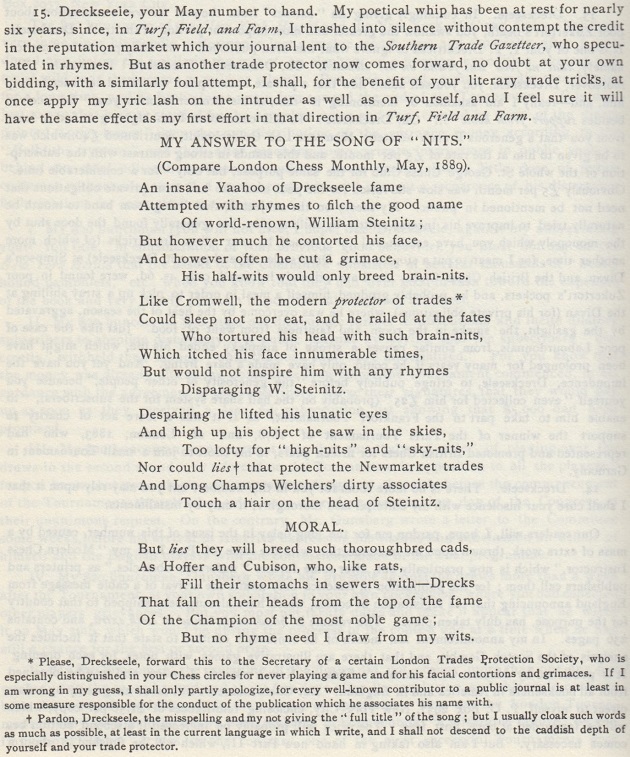 The May 1889 issue of Hoffer’s Chess Monthly (pages 259-260) published a poem by Cubison in commemoration of Kolisch, and page 265 of the same issue carried, anonymously, the notorious ‘Sty-nits’ verse. 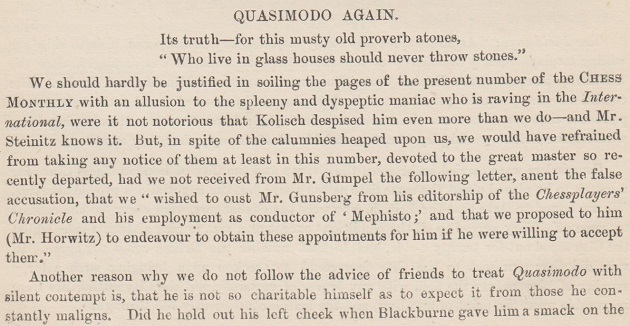 On page 180 of the June 1889 International Chess Magazine Steinitz deduced that Cubison had written that poem too, an accusation for which he apologized ‘most sincerely and to the fullest extent’ on page 298 of the October 1889 issue of his magazine. 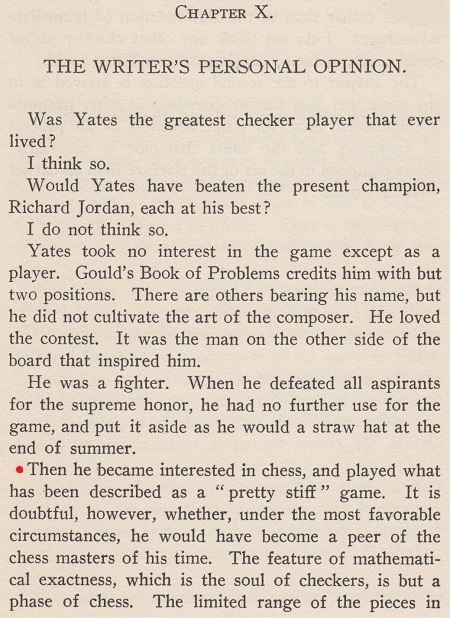 Biographical information on Yates and a number of his games can be found in The Compleat Draughts Player by Irving Chernev (Oxford, 1981). 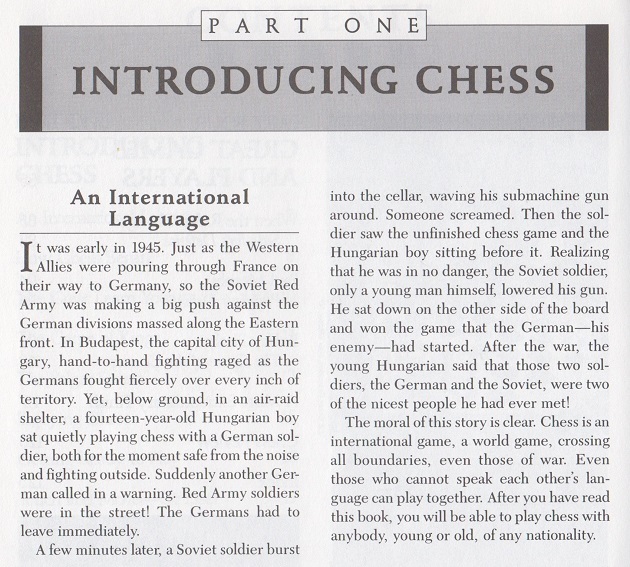 Kotov’s output on Alekhine is bestrewn with unsourced quotes. 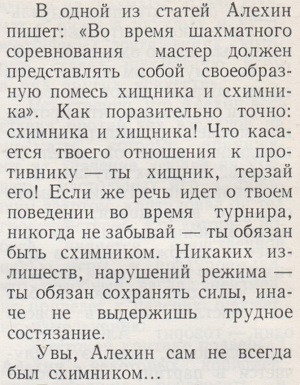 Regarding the one under discussion here, we have yet to find anything relevant in his two-volume work Shakhmatnoe Nasledie A.A. Alekhina (Moscow, 1953 and 1958). In C.N. 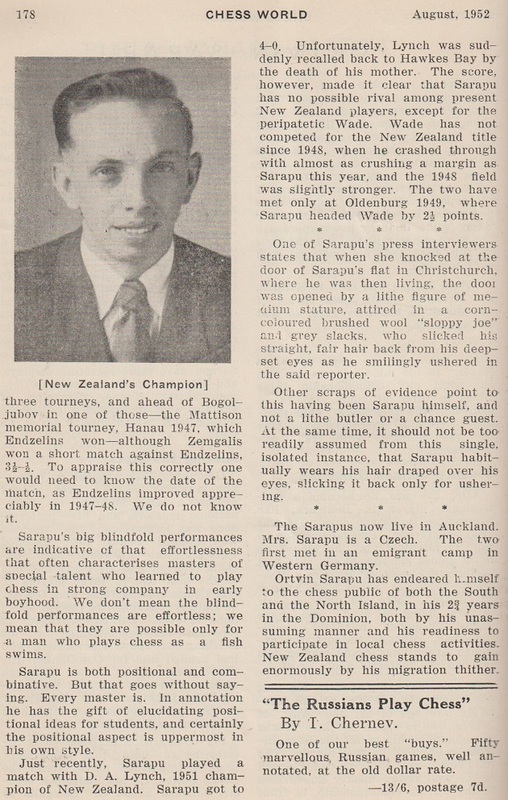 9477 a correspondent pointed out that on page 4 of ‘Mr Chess’ The Ortvin Sarapu Story (Wainuiomata, 1993) Sarapu stated incorrectly that he won the 1946 Copenhagen championship. 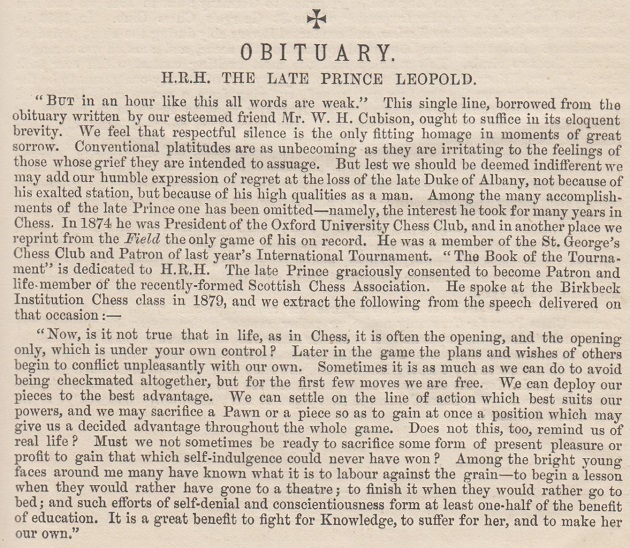 For further information about Prince Leopold, Duke of Albany, see C.N.s 4044, 4066, 4558 and 8126. 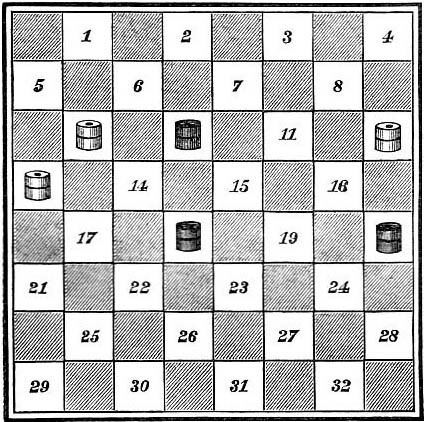 Our latest feature article is Chess and Draughts/Checkers. 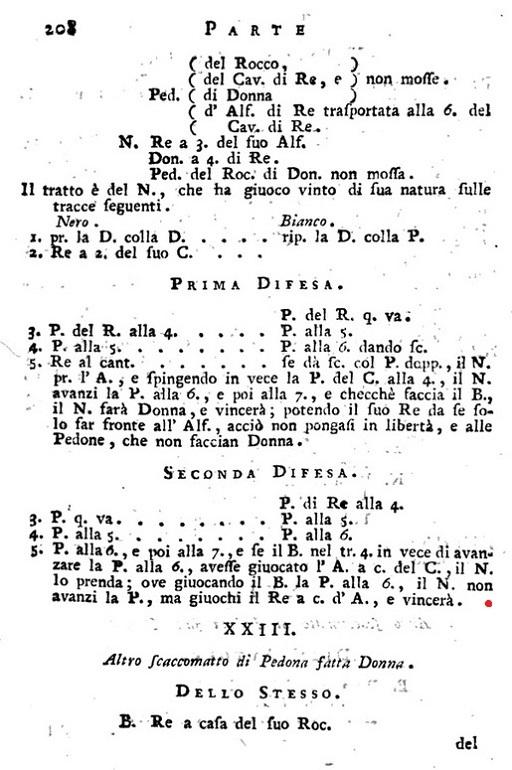 Source: An Encyclopædia of Gardening by J.C. Loudon (London, 1822), page 1336. 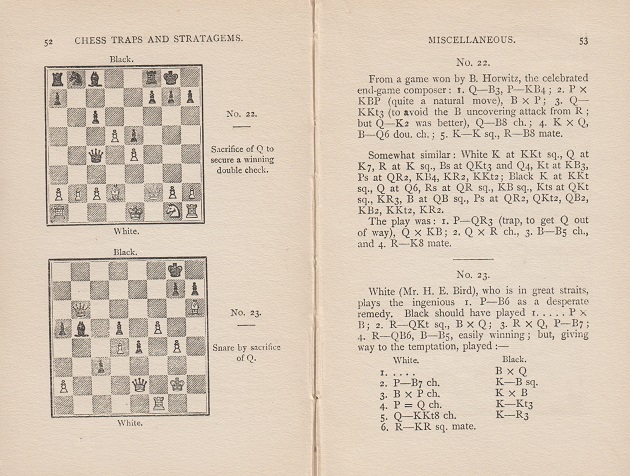 Our correspondent points out that the text has been mentioned on a ChessPro page, which also has non-chess references from the nineteenth century to ‘Gens una sumus’. 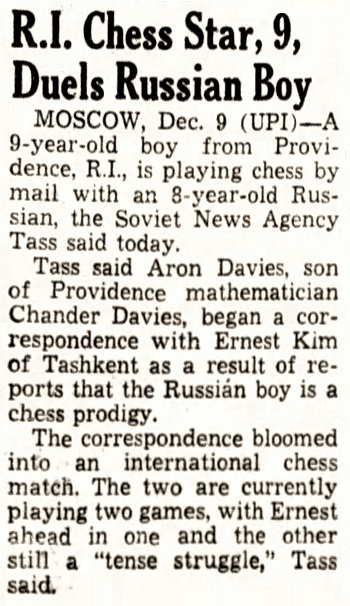 Boston Globe, 9 December 1961, page 7. 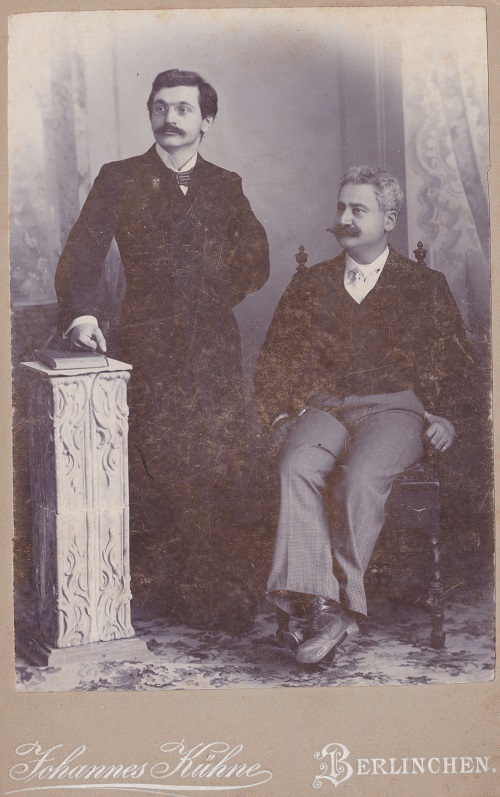 William D. Rubinstein (Melbourne, Australia) and Gerard Killoran (Ilkley, England) note the information about William Henry Cubison at the London Street Views website. 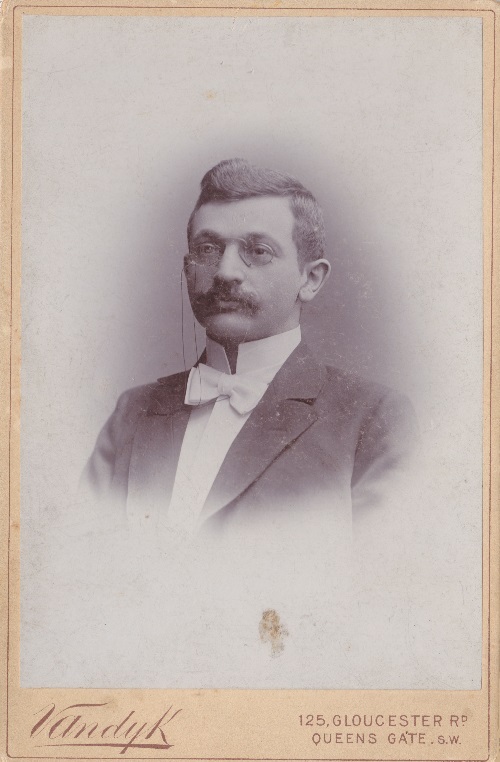 If the above birth-date is correct, Cubison died at the age of 91. 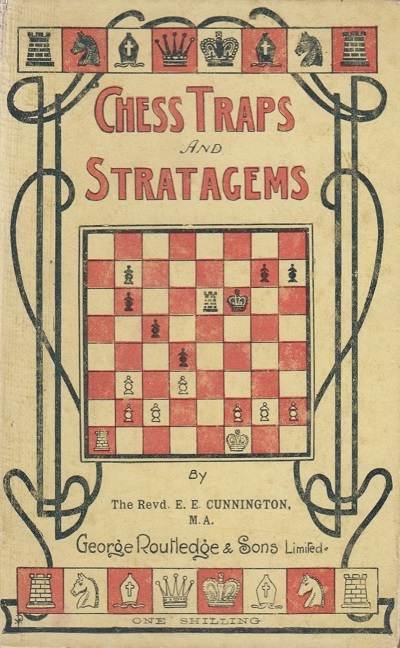 A beautiful 450-page hardback, entirely in English, it is the first volume in a trilogy adapted from, and expanding on, Emanuel Lasker Denker Weltenbürger Schachweltmeister edited by Richard Forster, Stefan Hansen and Michael Negele (Berlin, 2009). We have a feature article on that 1,079-page work. The new book can be ordered direct from a webpage of Exzelsior Verlag, Berlin or by contacting the company by e-mail (info@exzelsior.de). 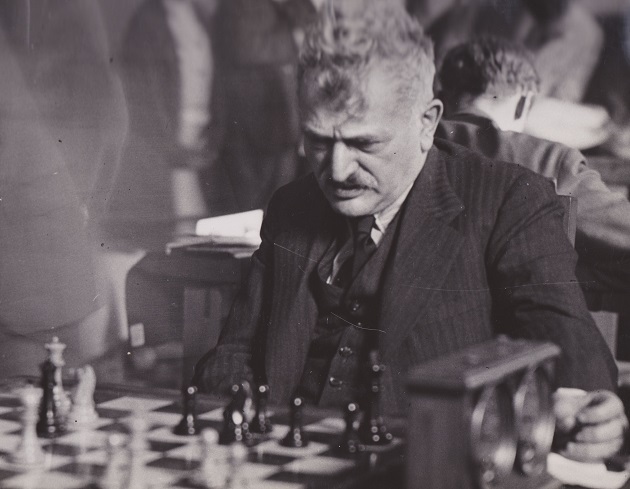 Page 140: Emanuel Lasker (first-round game against Reuben Fine, Nottingham, 1936). 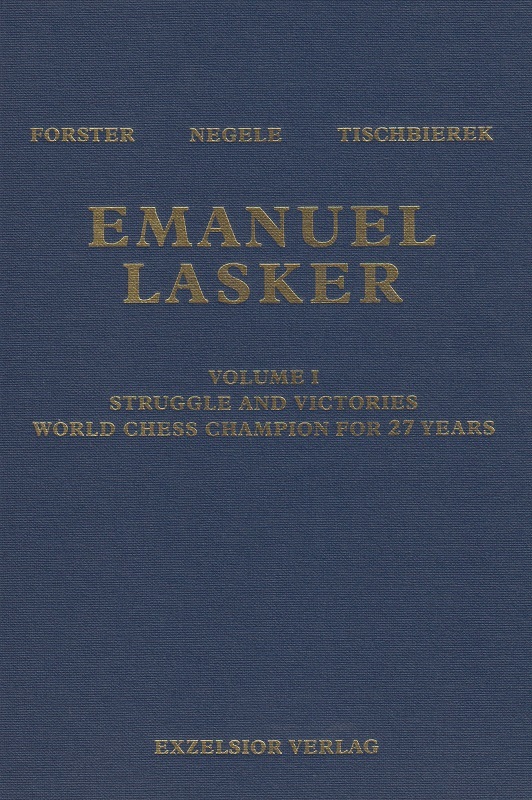 The new Lasker book (C.N. 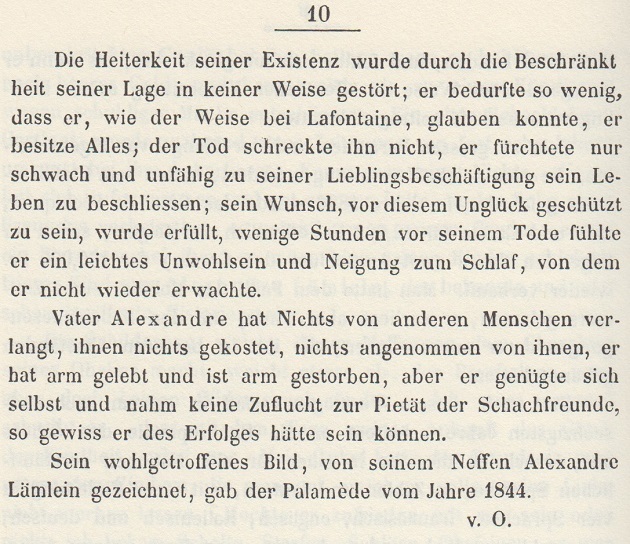 11070) has some further information about W.H. 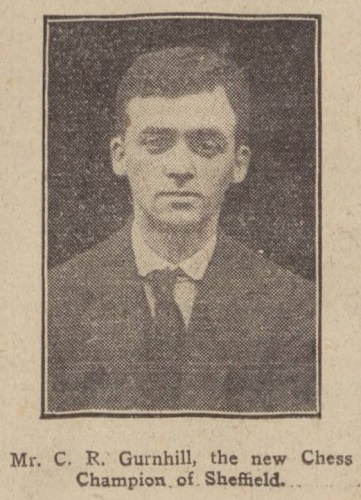 Cubison, who was discussed in C.N.s 11060, 11065 and 11069. 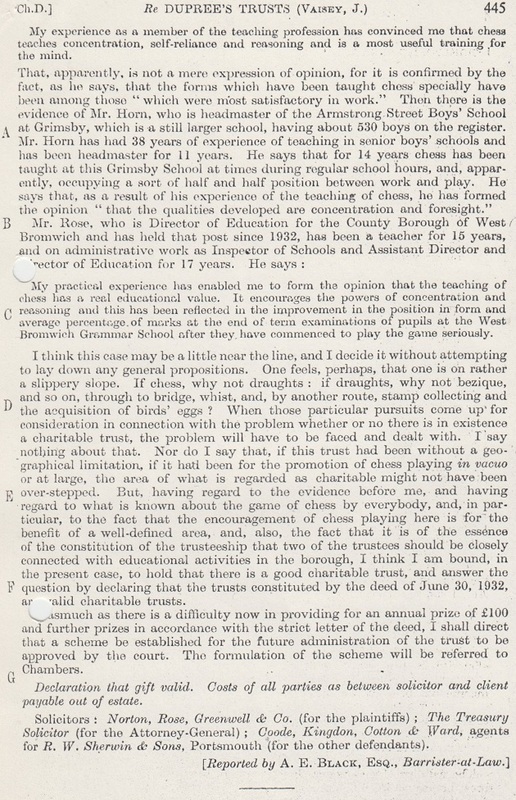 For example, a footnote on page 33 states that he was ‘an accountant by training and for many years secretary of the London Association for the Protection of Trade’. C.N. 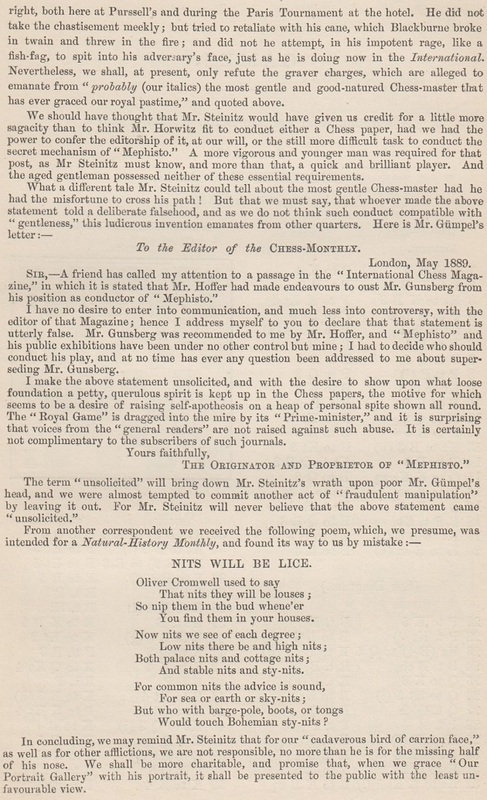 11060 referred to Steinitz’s suggestion, later withdrawn, that Cubison composed the ‘Sty-nits’ poem published by the Chess Monthly. 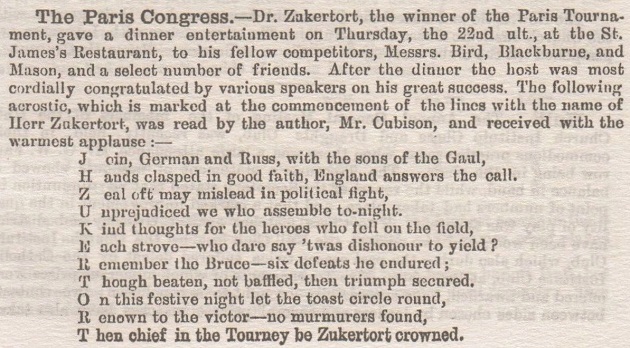 A further poem was published in this issue but subsequently withdrawn and replaced by other matter. 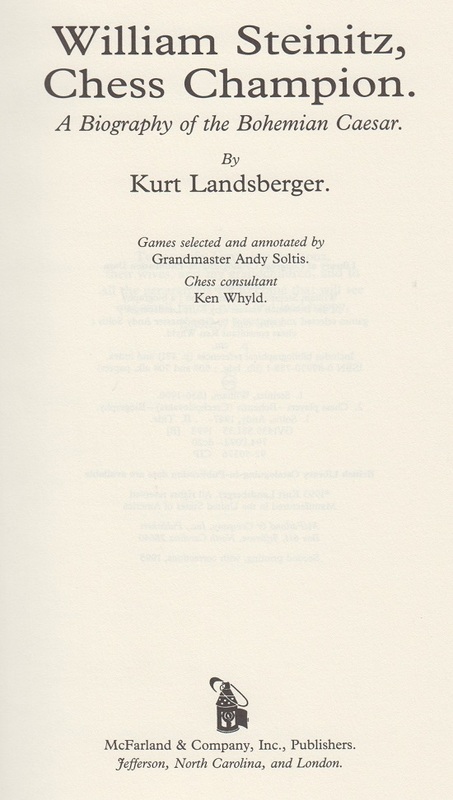 The 30-verse poem, ‘Song of a Nit’, was reproduced on pages 223-225 of Kurt Landsberger’s first book on Steinitz, but our bound volume of the Chess Monthly has only the replacement material (tournament reports). 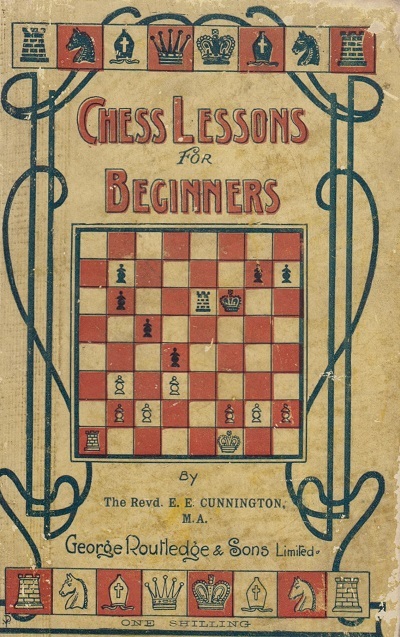 The same applies to the copies of the Chess Monthly held by libraries and other colleagues whom we have consulted so far. 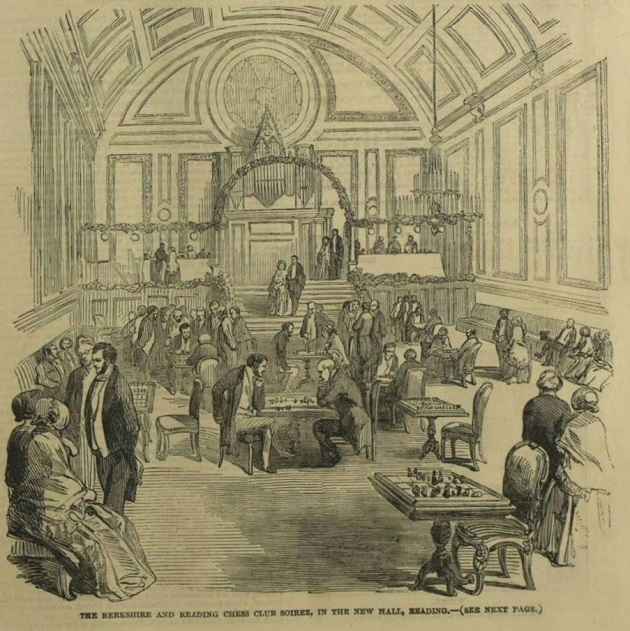 Can any reader send the pages of the September 1889 Chess Monthly which had the poem? 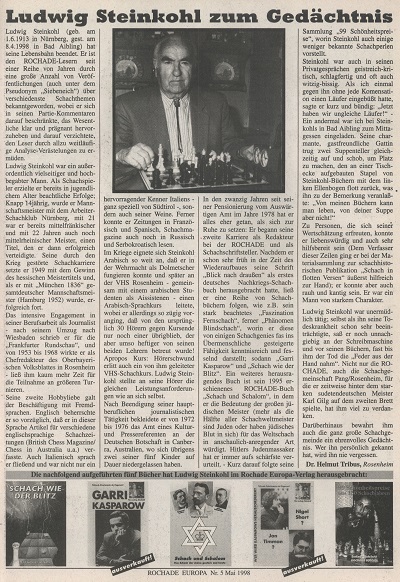 As regards the editorial and linguistic standards of William Steinitz, Chess Champion by Kurt Landsberger (Jefferson, 1993), on 14 September 1994 we wrote a letter to the publisher’s then President. 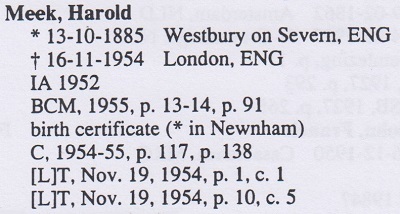 A ‘second printing, with corrections’ was produced in 1995, and a paperback edition in 2006. In C.N. 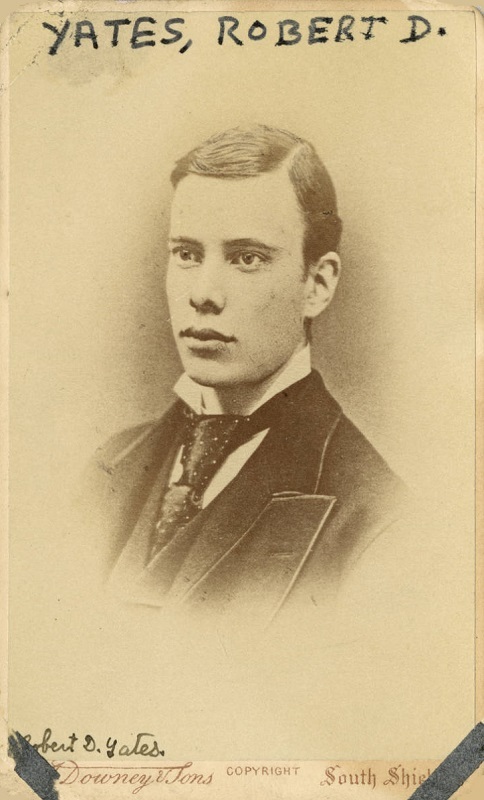 5706 a correspondent reported that Showalter was born on 5 February 1859 and not, as commonly stated in reference books, on 5 February 1860. See too C.N. 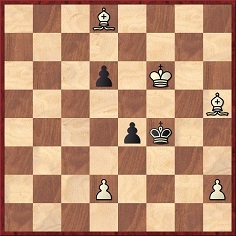 6972. Is further documentary evidence available? 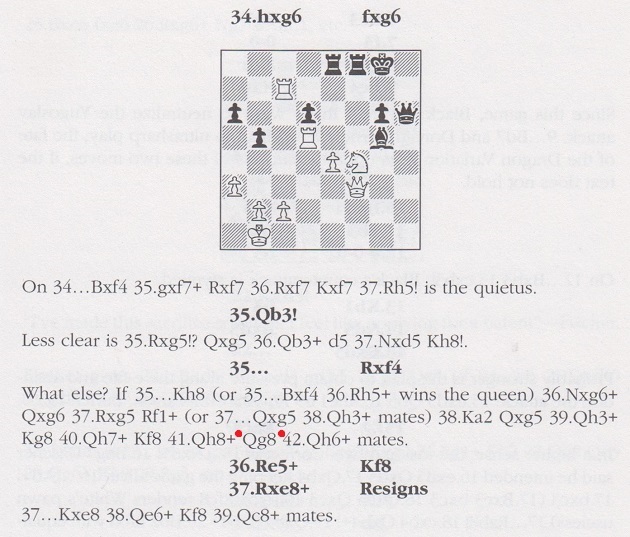 Michael Clapham (Ipswich, England) refers to the mix-up over Bird and Buckle in a well-known picture (see Chess: Mistaken Identity) and adds that the same error is on page 178 of Pour Philidor edited by Jean François Dupont-Danican (Koblenz, 1994). Jean-Pierre Rhéaume (Montreal, Canada) comments on the relative scarcity of information about Aaron Alexandre in books and on-line. 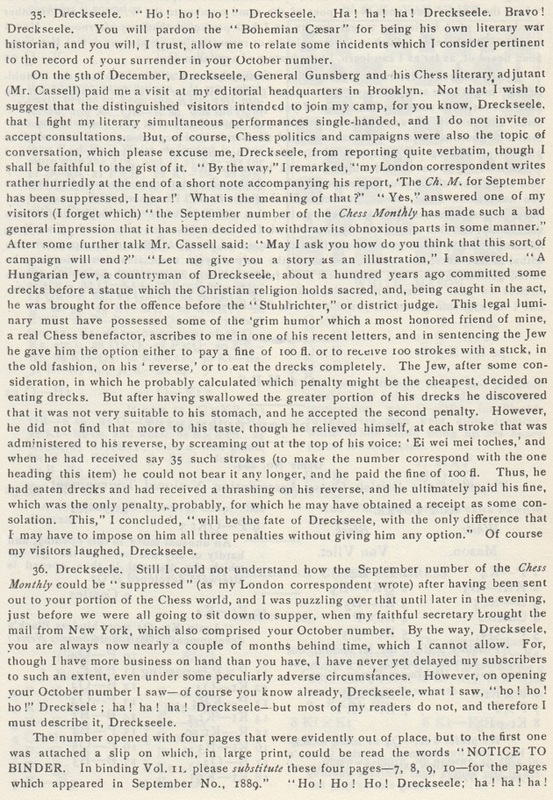 Page 8 of Bell's Life in London, 5 January 1851 stated that Alexandre had ‘died at his residence, Tavistock-row’. 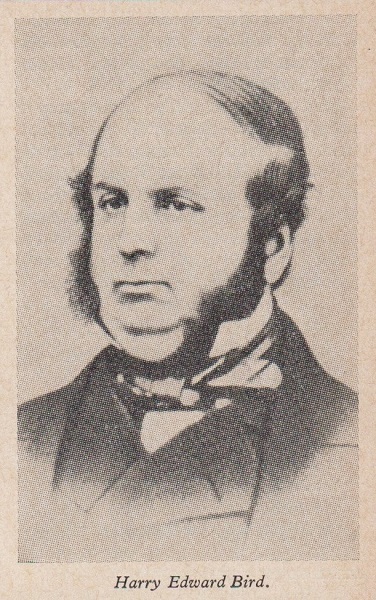 The portrait of Alexandre referred to in the final paragraph was the frontispiece to the 1844 volume of Le Palamède, and is widely available on-line. 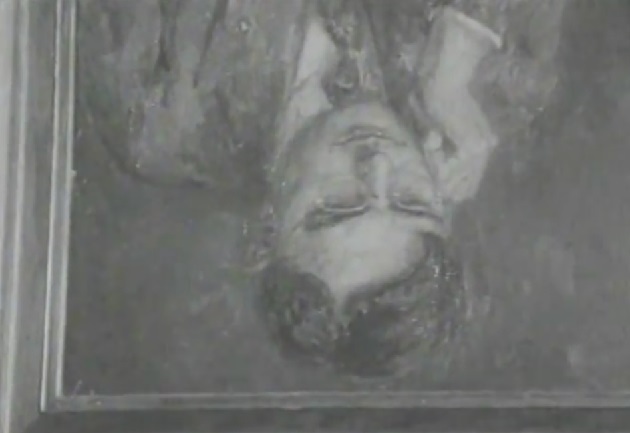 Identification of the artist as Alexandre’s nephew, Laemlein (i.e. 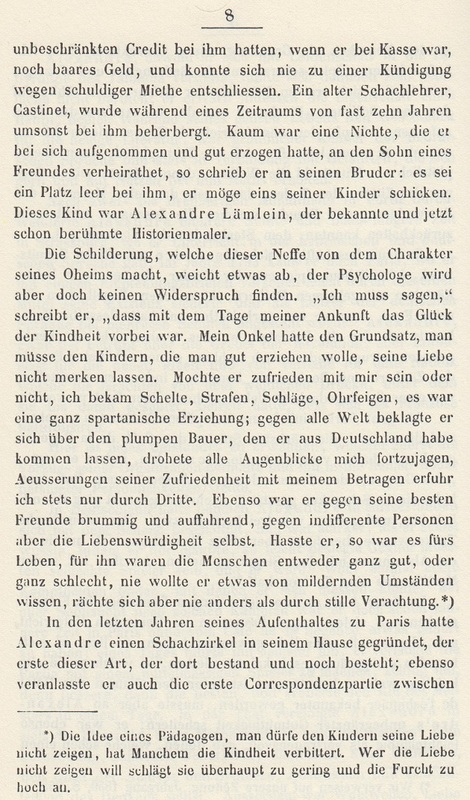 Alexandre Laemlein), is on page 403 of the September 1845 issue of the French magazine. 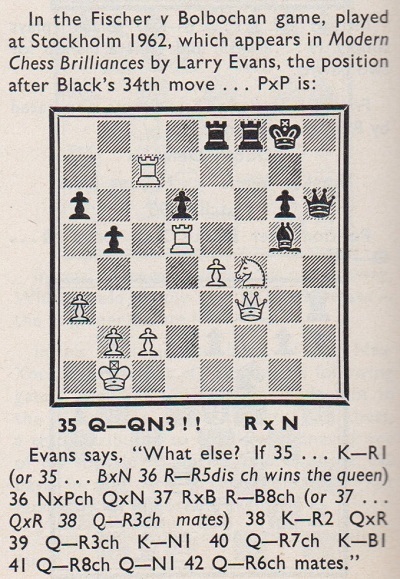 Sean Robinson (Tacoma, WA, USA) notes that Larry Evans also mentioned Fischer’s verification of Modern Chess Brilliancies on page 1 of its 1994 algebraic edition (‘Fischer ... who reviewed this manuscript in 1969 before it went to press when he was a guest at my home in Reno’). There was no word about the review being performed blindfold. 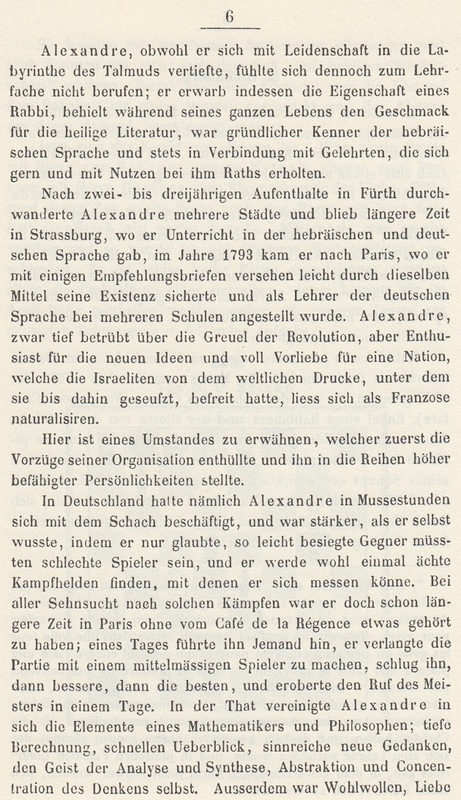 The 1970/71 book did not mention any involvement by Fischer. 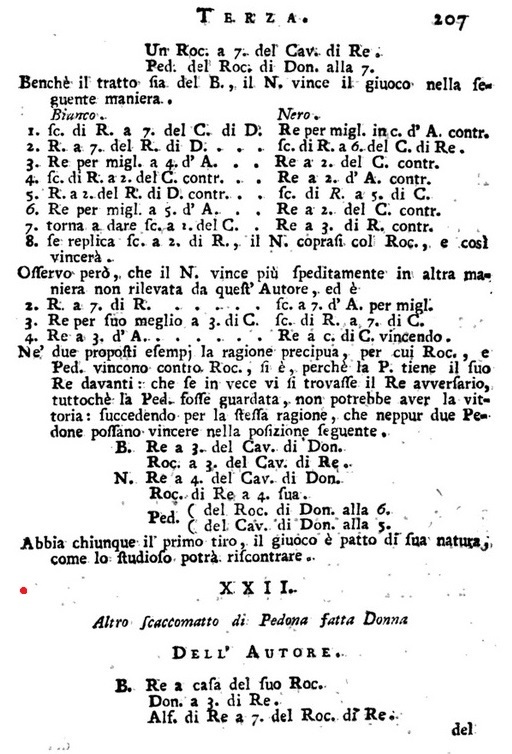 The algebraic edition also reproduced, on pages 3-14, Evans’ Introduction to the original book. 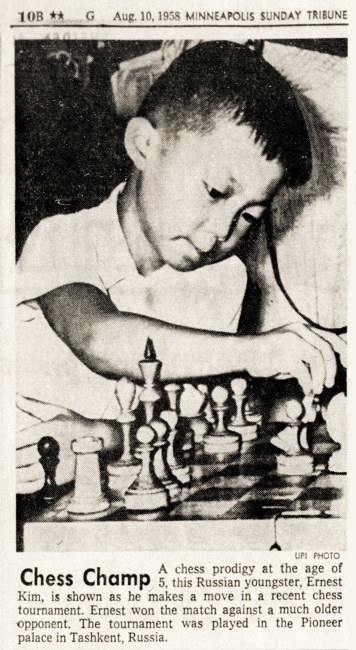 Although dated August 1969, it referred, on page 11, to ‘the stolid grinders like Smyslov, Petrosian, Karpov and Spassky’. 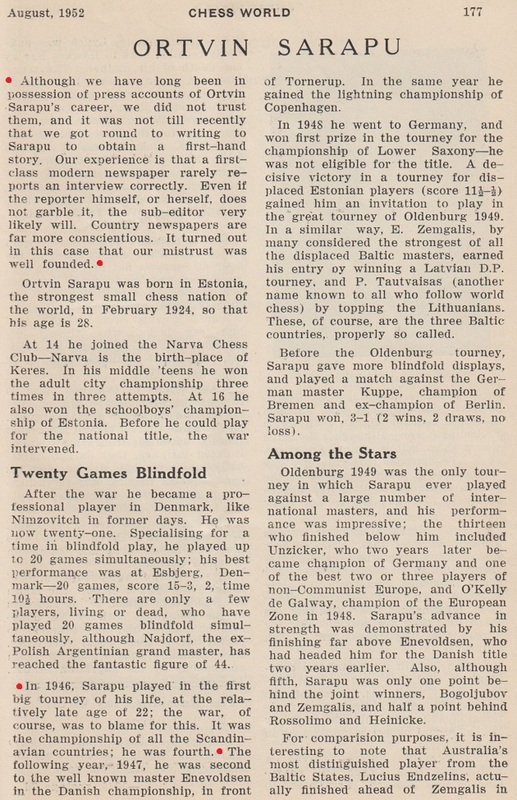 Karpov’s name had naturally been absent from the 1970/71 book. On this topic, see Old Opening Assessments.